My food cravings generally coincide with the weather. Is that weird? When warm weather hits, I generally start craving dishes with lots of spring time veggies. I've made several different recipes over the past several weeks and wanted to share some of my favorites. The first is a recipe taken from a food blog I've been loving lately-- Eat, Live, Run. It's Brussels Sprouts with Bacon, Dried Cherries, and Israeli Couscous. (Recipe Here). A quick note here on the recipe and my changes. I have no idea what israeli couscous is, so I used pearled couscous instead. A couple of the specialty grocery stores near me sell all kinds of couscous, but I didn't stop in to check. So I was limited to the options at my local Kroger. I ended up using only the couscous and threw out the seasoning packet. Another note on the recipe, I may or may not have doubled the bacon grease. In fact, I doubled the entire recipe--I was making this side for a large family gathering and it doubled very easily. (So I guess that means I quadrupled the bacon grease....oh my). 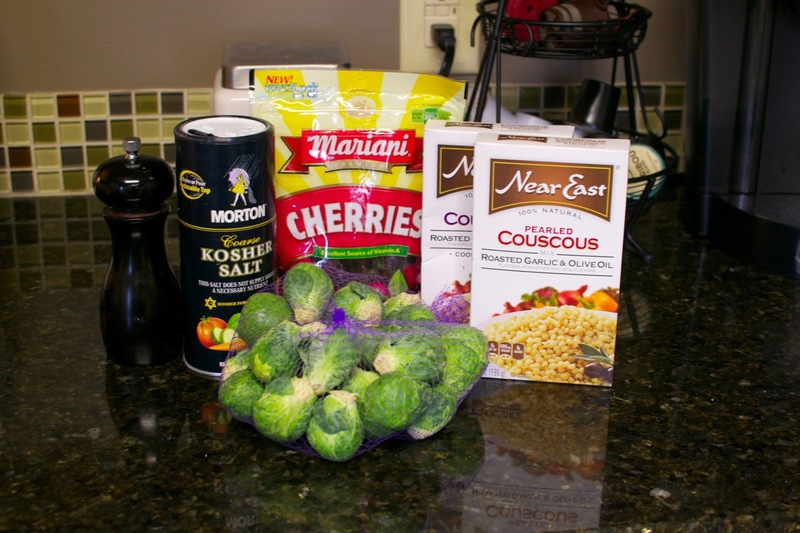 Last note: the first time I made the recipe I hand chopped all the brussel sprouts. Second time around, muscle memory taught me to use a food processor for shredding the brussel sprouts. Finished product! 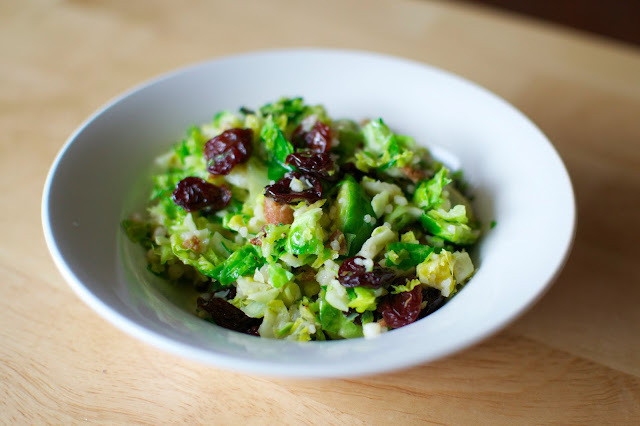 This recipe is so delicious and is the perfect side dish for summer meals. It's a little more work than your standard steamed veggies, but the effort is worth it for special events. 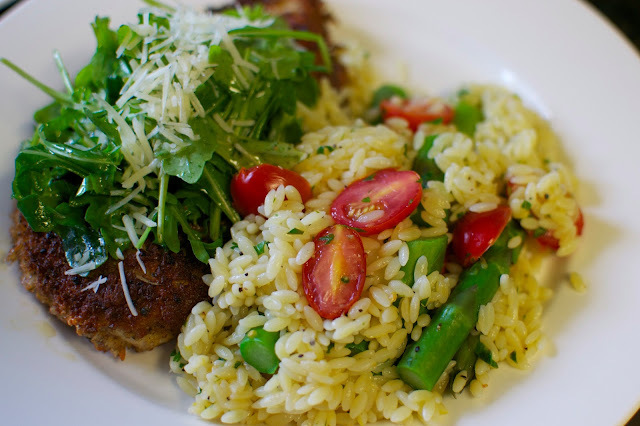 I also recently made a tried and true Ina Garten recipe, Chicken Parmesan with arugula salad. This chicken recipe is awesome. What is it about the Barefoot Contessa--the lady can do no wrong. Recipe found here. I make no changes to this recipe, but I do suggest taking the Contessa's recommendation of using a meat tenderizer--always trust the Contessa, always. Also, it may seem a little odd placing a cold arugula salad on top of the hot chicken, but again, just trust the Contessa--she never steers you wrong. I paired the Chicken Parmesan with a lemon orzo salad. This salad is delish and keeps really well for lunches throughout the week. So instead, I buy the steamable bags of asparagus and call it a day. 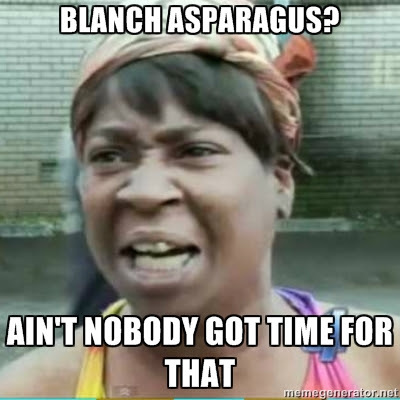 I'll let Sweet Brown do the talking. I recently started up work in my garden and can't wait to start using fresh, homegrown veggies all summer long.